Our company is one of the leading companies that manufacture, supply and export a quality range of Paper Reinforced Gum Tapes. Our tapes are manufactured using high grade base material sourced from trust able dealers of the industry. Latest equipment and advanced technologies are used while fabricating these items. 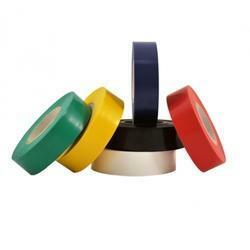 These tapes have excellent adhesive service and ensure longer durability. Being one of the leading companies, we manufacture, supply as well as export a quality range of Double Sided Cloth Tapes. The entire range of our products is manufactured by using premium grade base material bought by the trustworthy vendors of the industry. At every step of manufacturing these products are stringently tested till the time of final dispatch. These tapes are well designed and are highly applied in automobile industries. 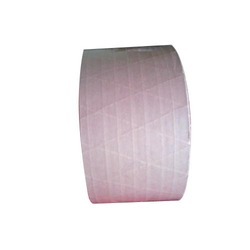 We are considered in the market to be one of the leading manufacturers and suppliers of this impeccable range of Plain BOPP Tapes. Manufactured in accordance with the set industry norms and guidelines, its standard of quality never deteriorates. In addition, marked at the most reasonable rate possible, it is widely acclaimed and asked for. 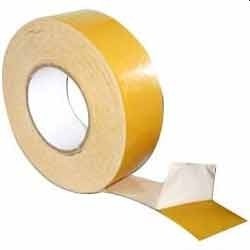 In the series of our range of products we offer, we are also trading, supplying and exporting a large array of Abro Masking Tapes. All these products are finely fabricated by using high quality material and are quality tested at our vendors' end. 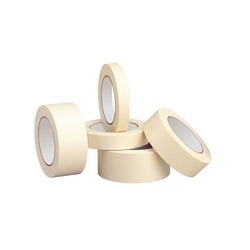 These tapes have high adhesive strength and are offered at different sizes, thickness and dimensions. 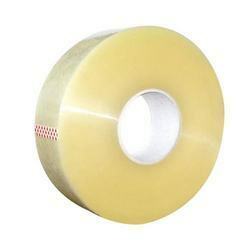 Floor Making Tapes are considered as the best item that we are manufacturing, supplying as well as exporting in bulk as per the requirements of our customers. These tapes are finely designed and are resistant to acid and abrasion. Advanced technologies and latest equipment are used while fabricating these tapes. 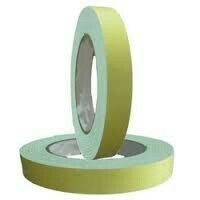 Our tapes have excellent adhesion and high strength. 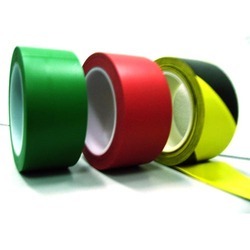 Offered to clients at the most reasonable rate possible, the PVC Electrical Insulation Tape made available by us is highly praised and preferred. With its superior strength, finishing and durability, the offered range is known to be amongst the finest that are available in the market. In addition, our abidance of the set industry norms, ensure the product’s standard of quality. Our firm is considered one of the well known firms that manufacture, supply and export a large variety of Printed Gum Tapes. These tapes are made up of superior quality base material sourced from trustable dealers. These tapes are available in beautiful prints and designs that make them more popular and highly demanded all over the market. 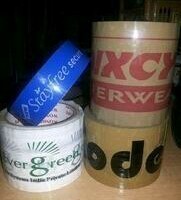 We are offering these tapes at affordable rates. Shreyaa Enterprises, incepted its operations in the year 2004, as one of the finest manufacturers, suppliers, traders and exporters of this impeccable range of Packaging Material & Tapes. The offered range manufactured using the finest raw materials and modern machines, as per the set industry norms and guidelines, its standard of quality never deteriorates. Owing to this, the products finishing, strength and durability is quite high. The range made up of the finest and highly acclaimed products like Gum Tapes, Cloth Tapes and BOPP Tapes, is marked at the most reasonable rate possible. For reasons of attaining all of our predefined goals and objectives, our facility has equipped with all the necessary machinery and amenities. To attain a greater market share, the facility goes through regular up-gradation. For reasons of attaining smoother and finer management of operations, the facility has been parted into several highly operational units, under the supervision of skilled and experienced professionals. These professionals, in the most efficient manner, help the firm boost its productivity. In addition, our ethical working habits have helped us set up a huge client base in the Gulf Countries, Germany, Canada, USA.